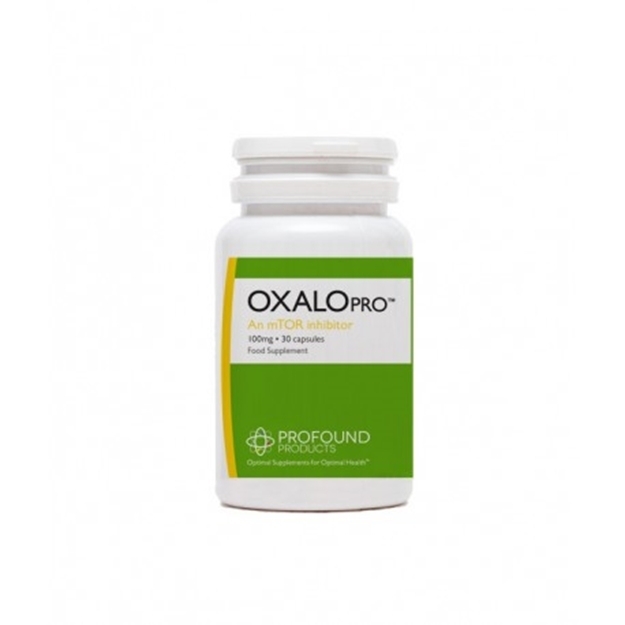 Jumpstart your metabolism with Oxalo-Pro™, the scientifically developed supplement that supports your body cells; Oxalo-Pro™ is formulated from oxaloacetate; one of the essential building-blocks of the body’s energy creation process, Oxalo-Pro™ gives your body what it craves: a high quality supplement that promotes greater vitality, natural weight loss, lower blood pressure, and slower aging. Oxaloacetate, oxaloacetic acid, or OAA is an organic crystalline compound used for essential metabolic processes by nearly all life on earth, including humans. It plays an integral role in the Krebs cycle, one component of cellular respiration, used by all aerobic organisms to generate energy for life. Without OAA our bodies simply couldn’t function at all. But is it possible that supplementation could provide more benefits? The Krebs cycle, also known as the citric acid cycle or tricarboxylic acid cycle (TCA cycle), is a series of ongoing chemical reactions used by all aerobic life to create energy from the nutrients they consume. Essentially, it is the process by which carbohydrates, fats and proteins are broken down and reformed into energy that we can use to power our muscles and organs. The important word here is cycle: because we need a constant supply of energy, not an occasional one, the Krebs cycle must function continually. OAA is present at both ends of the cycle, being both a reactor and a metabolic product, and as such, is entirely crucial to organic life as we know it. There is a growing body of evidence that suggests that OAA supplementation may in fact be very beneficial for general health and a range of more specific issues. The secret to OAA’s beneficial properties is in the way it reduces blood glucose levels. It’s what’s called a calorie restriction mimetic; that is, its presence mimics the effects of a calorie-restricted diet (CRD). Though they might sound suspiciously like something you’d read in a beauty magazine, CRDs are a long-researched concept in the field of antiaging science. By minimizing the amount of calories consumed, CRDs aim to decelerate the natural aging process by reducing wear and tear on the body’s cells, increasing both median and maximum lifespan. There is evidence to suggest CRDs delay the incidence of kidney and autoimmune disease, diabetes, age related neuron loss, and even some cancers. While tests have been conclusively positive for a variety of species such as yeast, fish, rodents, and dogs, there are fewer conclusive results within human and other primate groups. That said, there is no shortage of anecdotal evidence if you take the time to look. In fact, in the 15th century, a Venetian nobleman named Luigi Cornaro was already taking advantage of CRD’s benefits. Restricting himself to only 350g of food and 414ml of wine a day, he claimed that his strict regimen improved his health dramatically, living to 102 by some accounts, and detailing his experiences in a book, Discourses on the Temperate Life. Cornaro’s work, while inconclusive, was immensely important, not only to CRD, but antiaging science in general: for one of the first times, old age was being discussed not as an inevitable decline but as a worthwhile and productive phase of life. By 1934, Cornell University researchers had shown that laboratory rats fed a CRD that included necessary micronutrients resulted in lifespans up to twice as long as expected, and, by 1986, Richard Weindruch had released studies showing that there was a beneficial proportional relationship between lifespan and CRD in mice. For all of CRD’s benefits, it does have some rather significant downsides, particularly for primates such as humans. Restricting calorie intake by itself is dangerous for those who already have low weights and body fat levels, while significant calorie reduction carries distinct risk of malnutrition, and loss of muscle mass and mineral bone density. Because the OAA in Oxalo-Pro mimics only the impact of CRD on a cellular level rather than actually decreasing calorie intake, it is a much safer way to gain many of the same benefits because there is no need to sacrifice any micronutrients. While not as well-known as CRD, mTOR inhibition is yet another path to increased lifespan. mTOR, or mechanistic target of rapamycin, is a protein kinase that controls cell reproduction and development, regulating signalling pathways within cells to ensure their health, survival, and successful replication. Irregular mTOR function is associated with aging, as well as a number of medical conditions such as diabetes, obesity, depression, and certain cancers. Rapamycin was the first mTOR inhibitor discovered, found by scientists in the 1970s in a soil sample from Easter Island. Isolated from the bacteria Streptomyces hyrgroscopius, rapamycin was originally used as an antifungal agent, but is now being investigated as a potential anti-cancer and antiaging treatment. While positive trials in invertebrates and mice have indicated rapamycin may indeed be able to increase lifespan, it also has a number of significant side effects that can be damaging to health. OAA is one of a number of compounds that are able to mimic the effects of mTOR inhibition while promoting fewer deleterious side effects. Because OAA is found and produced naturally in the body, it is much safer and unlike rapamycin, does not supress the immune system. By helping to modulate mTOR function, OAA has been shown to provide many of the same benefits as rapamycin, including improving cell lifespan, blocking cancerous mutations, and regulating blood sugar. While studies continue to unlock the secrets of OAA’s mechanisms and benefits, it has already shown promise in a range of trials against age-related diseases such as Alzheimer’s, and some forms of cancer, in particular the glial cell carcinoma- a brain cancer. *These statements have not been evaluated by the FDA. This product is not intended to treat, cure or prevent any disease.